Love your pet so much you wish you had another one just like it? 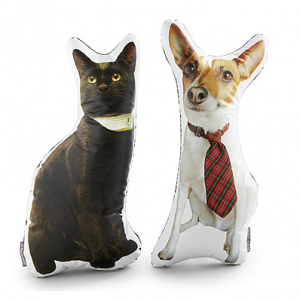 Now you can create a soft a cuddly clone of your dog or cat with this custom pet pillow. Send in your photo for this one-of-a-kind decorative pillow or surprise someone special with this unique gift.